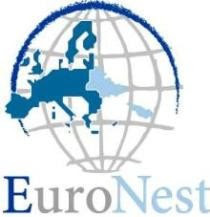 EuroNest: Interview: After Just One Year, Are The Wheels Coming Off The EU's Eastern Partnership? Interview: After Just One Year, Are The Wheels Coming Off The EU's Eastern Partnership? A year after its celebrated inception, the European Union's Eastern Partnership for Ukraine, Belarus, Moldova, Georgia, Armenia, and Azerbaijan has sunk into the kind of obscurity that tends to envelop unloved EU projects. The inaugural summit was held in Prague on May 7, 2009, amid fanfare, promises, and high expectations. A follow-up meeting of EU and partner-country foreign ministers was held in December. But since then, the bloc's deepening economic malaise now appears to have suffocated whatever impetus the process had left. Intended to provide a regional, multilateral dimension to the longer-established European Neighborhood Policy, the Eastern Partnership has not delivered any visible added value for either the EU or the countries themselves. The main avenue for contacts and cooperation is still provided via another channel -- association agreement talks between each of the countries and the EU. The association agreement sets the bar at nothing more than "political association," while it does hold out the long-term prospects of visa-free travel and free trade. Meanwhile, the wheels have literally starting to come off the EU's entire approach to the western post-Soviet neighborhood, with even favorites like Ukraine and Georgia becoming increasingly wayward in their respective courses. The long-held silent assumption that most, if not all, countries in the region want to eventually join the EU can no longer be taken for granted. Under its new president, Viktor Yanukovych, Ukraine is forging links with Russia that appear to preclude a further rapprochement with the West. In Tbilisi, President Mikheil Saakashvili seems to be calculating that he no longer has anything useful to gain from subjecting himself to EU tutelage -- with senior Georgian officials telling their EU counterparts at a recent meeting that Georgia is a "value-based state, but not necessarily an EU state." Taking a look at the prospects of the Eastern Partnership, RFE/RL Brussels correspondent Ahto Lobjakas spoke with Andrew Wilson, senior policy fellow in London at the European Council on Foreign Relations. 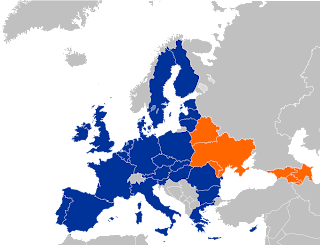 RFE/RL: One year on, has the Eastern Partnership achieved anything of note? Andrew Wilson: Well, in itself it was a worthwhile policy, and it was having some marginal impact. But it has been kind of overtaken by events. You have the global economic crisis, which has hit the region particularly hard. Russia is perceived to be providing some financial help. The EU provides some help, but there the Eastern Partnership is kind of invisible. I mean [the EU's] bigger role is in leveraging IMF [International Monetary Fund] funds to the region, where that was also pretty invisible to the local publics. America has, if not completely withdrawn from the region, [then] certainly de-prioritized it. China is a major player in the region there. So, within that kind of changed environment, the partnership isn't having the kind of impact its founders had hoped it would have back in 2009. RFE/RL: Can we expect a revival of the Eastern Partnership in the foreseeable future? Wilson: None is planned, but I certainly think it's necessary. Some kind of "Partnership Plus" revival, a relaunch, extra momentum -- I mean, call it what you will, it's certainly needed. There were fears that the Spanish and Belgian [rotating EU] presidencies [in 2010] would completely neglect the initiative. To be fair, they've kept it ticking over, but no more than that. Obviously, many people hope that the Hungarian and Polish presidencies [in 2011] will give it some more oomph in time for its second anniversary -- but the time to start planning that is now. RFE/RL: In the EU's search for regional stability, it has tried to foster reforms in its eastern neighbors that can only take root when a deeper kind of stability exists -- one that would require more direct EU political involvement. But the bloc has refused to provide that. Isn't this a contradiction at the very heart of the EU's engagement with the Eastern Partnership countries? Wilson: Yes, the word "stability" may be in the documents -- maybe it's the wrong word. What we're talking about is Europeanization. Often, that required a lot of destabilizing short-term action. Look at Ukraine, for example, at the moment. A lot of Western European governments, after the chaos of the last three or four years, seemed to perhaps be willing to over-accept the prioritization of stability -- which for Yanukovych means a euphemism for strengthened central political control. That type of stability isn't necessarily a good thing. Nor is stable nonaction a good thing. Sometimes a flurry of reforms is precisely what is required. But I think your general question is more: "Does the Eastern Partnership help the EU to get leverage on these political systems in order for them to make the necessary reforms?" And I think there you could have a problem. Particularly if you go back to the changing international context that I mentioned at the start. It is not at all clear that we do have the means to persuade reluctant and often authoritarian leaderships in these six states to make the kinds of reforms that we'd like to see. The carrots aren't juicy enough and the sticks aren't big and threatening enough. RFE/RL: Is it realistic to tell these countries that they do not need to choose between the EU and Russia -- as, for example, EU Enlargement and Neighborhood Commissioner Stefan Fuele does? Wilson: We would like them to not necessarily choose [between the two] in terms of foreign policy, or cultural affinity, or whatever. But clearly we want them to choose our model, the European model. That's what the Copenhagen criteria [of EU accession] mean, after all. But I've sometimes called the leaders of Eastern Europe a "collective Tito." They don't necessarily want to choose. They are playing a game of balance between East and West to extract resources from both sides, and it is in their interest to prolong that balancing game as long as they can. RFE/RL: Is it ultimately in the EU's own interest to limit cooperation to "deep and comprehensive free trade" and visa liberalization -- as it now does? Wilson: Well, we're not even there yet. Again, to take the example of Ukraine, the most important state of the six, it is not at all clear yet that [an agreement permitting] "deep" free trade is within their grasp -- certainly not this year. Though the Ukrainians are trying to push on that one. I think if those two things were achieved, then a lot would have been achieved. Deep free trade will make a considerable difference to the economies in the region. Visa liberalization, of course, makes the biggest difference to local public opinions, it would help swing that in favor of the EU. So the two things you mentioned aren't marginal, but we may not even be able to get there without being first able to [deploy] our levers of engagement for these six states. RFE/RL: Do you think the EU may come to regret its lack of ambition if it fails to win the region for itself? Wilson: Clearly, we're talking about a 20-year period when relatively little has been done -- which is in very sharp contrast to the kind of quick-accession politics for the likes of Poland and the Czech Republic in the 1990s. And 19 -- almost 20 -- years is a long time to spend in the waiting room of European integration. Both sides have lost patience to a degree. But both sides are to blame. It's the standard catch-22 question -- if the EU had given a clearer perspective, then perhaps these societies would have reformed more. But the EU was never prepared to give that indication until there was more evidence of reform on the ground. You can talk about specific historical periods when opportunities were missed -- the most important of which is the six months after the Orange Revolution and before the referenda in Holland and France in the summer of 2005 on the [EU] constitution. That was a window of opportunity that was clearly missed to make good the conditionality principle, if you like. Clearly, the environment had changed enormously and the EU did not recognize that. And the window of opportunity soon shut.